The defence ministry must quickly resume issuing official medals. Last week, a colleague and I were struck by what we saw at a new military supplies store that had opened in our neighbourhood. Among the usual uniforms, shoes, hats, bags and kit, we were surprised to see medals. Not just the ribbons, but the entire suites of medals ready to be stuck on to uniforms. This struck us strange and dubious. Dinakar Peri’s report in The Hindu tells us why. 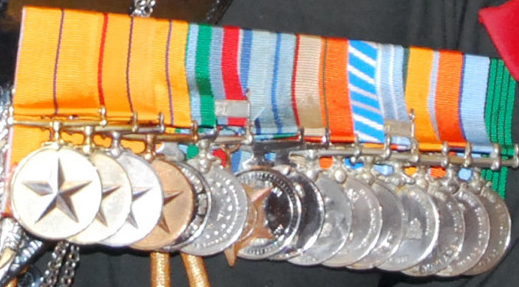 It turns out that the defence ministry department in charge of issuing medals has not been doing so. Since 2008. So for eight years, the defence ministry has been awarding medals but not issuing them to officers. That’s so long that many younger officers do not even know that they ought to receive the medals from the defence ministry, and not have to buy them from military stores. It’s not only sad, but undermines the purpose of medals by devaluing them. The economic reasoning behind issuing medals for service and gallantry is to create a “honour incentive” which can both be stronger and more effective than monetary incentives. If you undermine the honour attached to a medal, you weaken the incentive that encourages the behaviour that the medal recognises. If devalued to the point of become a routine, the incentive fails. The fact that the defence ministry hasn’t bothered to issue medals for eight years is therefore disturbing. It should be the easiest of things for Defence Minister Manohar Parrikar to do to order the Department of Medals in his ministry to resume issuing medals prospectively, and clear the backlog over time. It’s not merely what society owes to its soldiers. It’s an important step in arresting a drift in professional standards. Now, Mr Sawant—like the Ukrainian army recruitment department—is not entirely wrong: if army officers get all the babes, then more young men will want to be army officers. But it is wrong to presume that getting women to marry army officers—out of a sense of patriotic duty—will lengthen the list of applicants to military academies. That’s because of the OMIPP, the Oldest Mistake In Public Policy, which mistakes correlation for causation. In this case, attractive young women of marriageable age might be attracted to young men from a certain industry for the same reason as other young men want to get into that industry. Maybe because that industry pays well, offers a relatively better quality of life, a higher social status or all of the above. So whether you are recruiting for the army or for the public sanitation department, you are better off making the job profile more attractive. The babes will follow. Related post: If you don’t think such a grave issue as shortage of army officers ought to be treated with such levity, you can read what we think is the real solution to the problem. Just like over nine out of ten families in Karnataka, many school operators in Uttar Pradesh demonstrated that they are rational actors. If the Indian government has announced that it will give Rs 325 crores over the five years to madrassas (which, among others, means "an honorarium of Rs 6,000 per month to graduate teachers and Rs 12,000 per month to post-graduate teachers") then it is perfectly rational for private non-religious schools into madrassas. Perhaps private schools operated by Muslims are taking a lead in this—but it should not surprise anyone if people from all faiths jumped in to get a share of the pie. Of course, the Ministry of Human Resources Development officially doesn’t get it. It has called upon the Uttar Pradesh state government to conduct an enquiry into why people are behaving rationally, and responding to incentives. The UPA government has been schizophrenic in its understanding and application of incentives (see this post on Acquired Incentivo Deficiency Syndrome, by The Rational Fool). It seems to understand them at a political level where it has extinguished equality of opportunity for an entitlement economy. But it has repeatedly failed to understand them at a policy level, where it has pretended that nice sounding intentions can replace sound incentive structures.